Auto on/off according to the preset time, better to schedule your lighting. The smart bulb works with Amazon Alexa. It can help you save time and it is convenient to your life through voice control. The light works with your existing Wi-Fi or mobile network. You can control your bulb no matter where you are. You can turn it on or turn it off without leaving your bed. The color temperature of the light is from 1600k to 9000k. More than 16 million colors for you to choose and all of them are dimmable. You can easily set the color to suit your mood with adjustable brightness. Brighten up the room or create a relaxing environment by dimming the light. The smart bulb also can control by your friend or family when you share the device with them. You can create groups on the app to manage two or more lights. Synchronous switch, color changes, the scene mode selection and timer will be realized through smart lamp group. 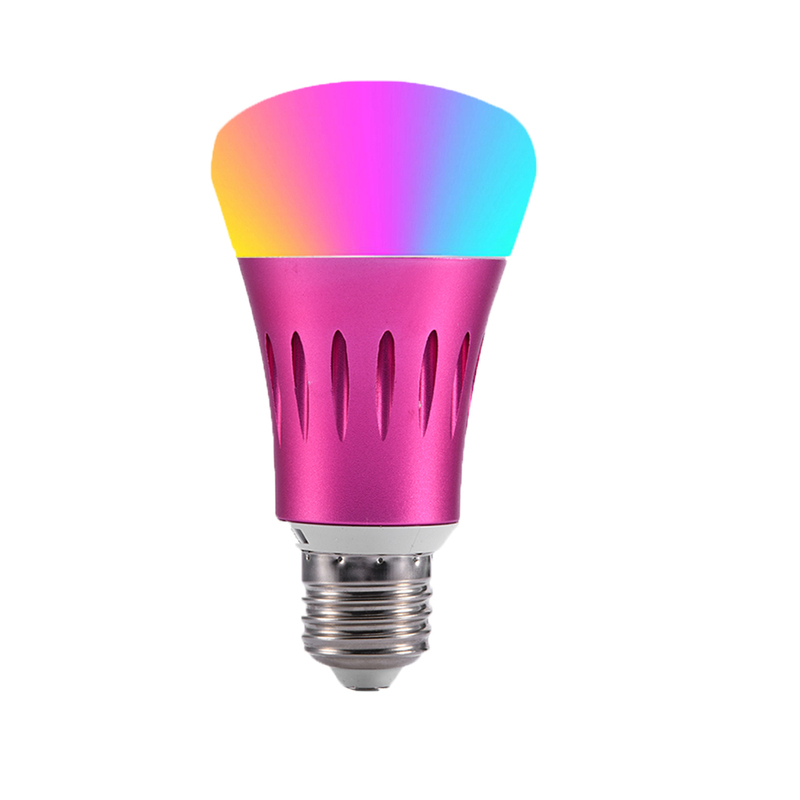 This WiFi A21 LED bulb can be controlled by smart phone which supports voice control(compatible with Amazon Alexa, Amazon show and Google Home), remote control, timer and group creating. It will bring great convenience to your life. There are 8 modes and tons of color options(16 million). This smart LED light can emit Colorful & Daylight & Warm White(1600k-9000k) lighting. Such as, red, green, blue, yellow, purple, orange, pink, etc. Changing the color and adjusting the brightness via APP to create the right atmosphere to suit your mood. This Wi-Fi smart Lighting is 14 watt (100w halogen lights equivalent), 1380 lumens. High brightness lighting will light up all over the room(kitchen, bedroom, living room, bar, garage, cafe, office, hotel, etc). The input voltage of this multicolored LED lights is from 110V to 240V, and it will reduce power usage up to 80%. CE, RoHS, FCC compliant. No lead or mercury. No UV or IR. Offer 12 months warranty. There are 3 steps to start your smart life. Scan the QR code to download the APP, install the color bulbs lamp(E26 base) and use the APP to control the Wi-Fi Alexa light. Our simple installation guide provides step by step instructions.